Derbyshire has a strong heritage in the fashion and textiles industries, with world-renowned companies such as Paul Smith, John Smedley and Aristoc on our doorstep. 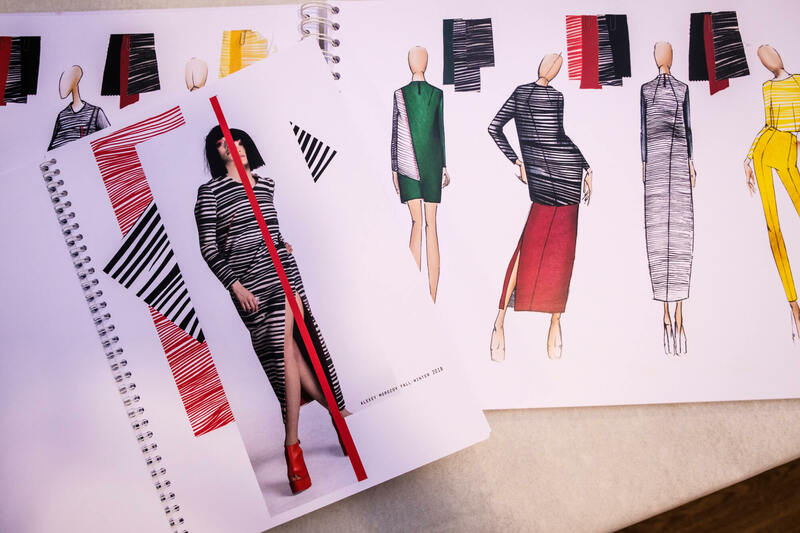 This inspirational backdrop will underpin your studies on this postgraduate course, which is one of only a few programmes in England with the option of combined study across fashion and textiles. You will be surrounded by like-minded creative individuals in from our Art and Design subjects. You will have the chance to gain appropriate industrial experience working on high level, multidisciplinary projects. The course will build on your skills, and will develop your potential to position yourself within the professional spectrum of design for fashion, textiles or related product areas such as knitwear, performance sportswear, or smart textiles for apparel and other uses. You'll be studying in a vibrant learning environment where you'll have the opportunity to work alongside designers from a wide range of disciplines throughout the department. Not only will you acquire professional design skills, but you'll also develop your enterprise and creativity, and you will feel empowered with the ability to challenge industry with production-ready innovation. During this stage you will explore contemporary debates and experimentation, as well as appraising your practice strengths and potential. During this double module you will explore, critically review, and develop your personal practice and methodologies. By examining your interests, philosophical concerns, and ethical stance as a designer, you will develop a sophisticated knowledge of fashion and/or textile design as a cultural entity and its significance to society. This double module represents the concept phase of the body of work that will form your masters practice project. You will extensively research and explore your individual area of focus in your practice. You will plan a personal programme of research on a negotiated topic relevant to your personal practice. Your topic will be carefully selected and honed to ensure that it successfully informs your practice. The individual methodologies you develop during this module will inform your practice based final project. You will develop a coherent argument, informed by your research, which will drive the structure and logic of your dissertation. This stage involves the realisation, testing, and evaluation of your masters practice project and related dissertation. This triple module is the culmination of your masters practice project. It will enable you to realise the practice concept that you defined and researched during the Concept module. You will work with independent scholarship and with an enquiring and questioning approach to test, analyse, and critically evaluate your work throughout the process of concluding your masters study. You could become an entrepreneurial designer, and start up your own business, using the skills you acquired on the course to take your products to market. We offer further support for emerging businesses, through our Creative Industries business incubation unit - Banks Mill. You could also go on to find employment within any number of global companies. Among the alumni from our fashion and textiles programmes, graduates have gone on to work for Polo Ralph Lauren in New York, Viewpoint Magazine, Franklin Till and Jaeger. You may also wish to continue on to further study through one of our MPhil / PhD programmes.